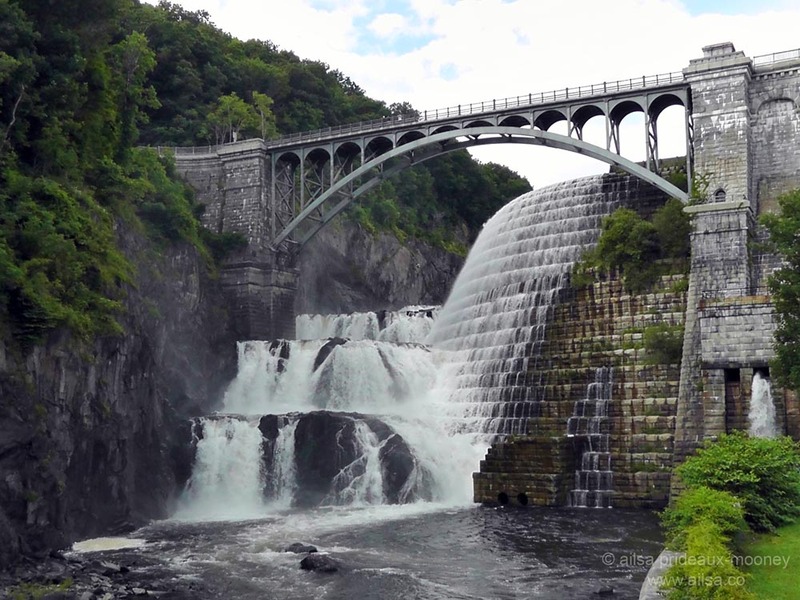 New Croton Dam | Where's my backpack? When I visited the little village of Croton-on-Hudson recently, I anticipated quaint houses, sprawling green spaces and heavily wooded areas. I got all that and more, including some of the best home-made ice cream I’ve tasted to date and a charming encounter with a very curious deer. What I did not anticipate, however, was that I would get to see what is held locally to be the largest hand-hewn stone structure in the Western world. The friend who I was visiting glanced over at me as we drove along a side street and said casually “Oh, you’ll enjoy this” as she turned down a winding leafy lane heading towards Croton Gorge Park. She grinned mischievously when I gasped audibly as the New Croton Dam burst into view before us. The car had barely come to a standstill before I was off across the grass to reach the walls of this vast, majestic creation. I felt some kind of compulsion to touch the stones with my hands, almost as if I needed proof that what I was seeing was real. The stones were absolutely real, and absolutely breathtaking. I had heard about the dam before, because the reservoir of water it harnesses provides New York with much of its water. However, I had imagined it to be just another concrete monstrosity; modern, smooth and terribly dull. I did not expect it to be beautiful. 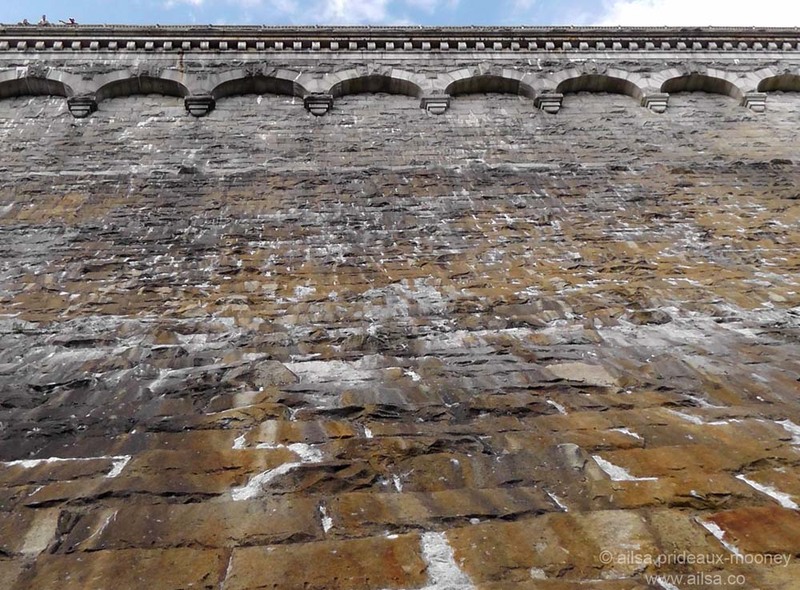 Soaring stone walls with delicate arches & intricate patterns & yes, those are people all the way up the top. In addition to suggestions that this is the largest hand-hewn stone structure in the Western world, there are also various claims of it being second and/or third largest in the world – I am sure that both the Great Pyramid of Giza and the Great Wall of China outrank the dam in scale, but wherever this lovely edifice ranks, it is spectacular to behold. It was designed by Alphonse Fteley, a Frenchman who was also a consulting engineer for the Panama Canal Company. 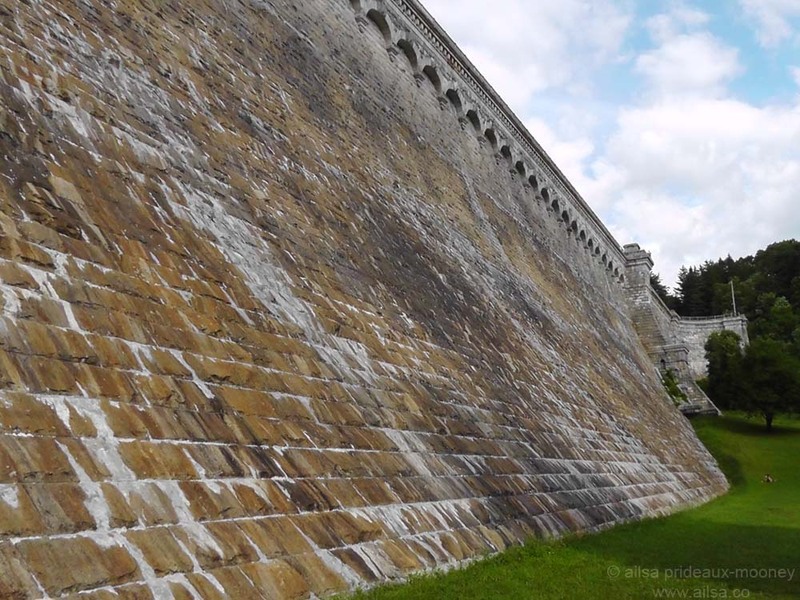 Completed in 1906, it was built as a response to a severe drought that occurred in New York in 1880-1881. According to public records, the dam is 301 feet high and the reservoir has a capacity of 34 billion gallons of water. That is a lot of water, and there is a lot of masonry holding it in place – an estimated 850,000 cubic yards. 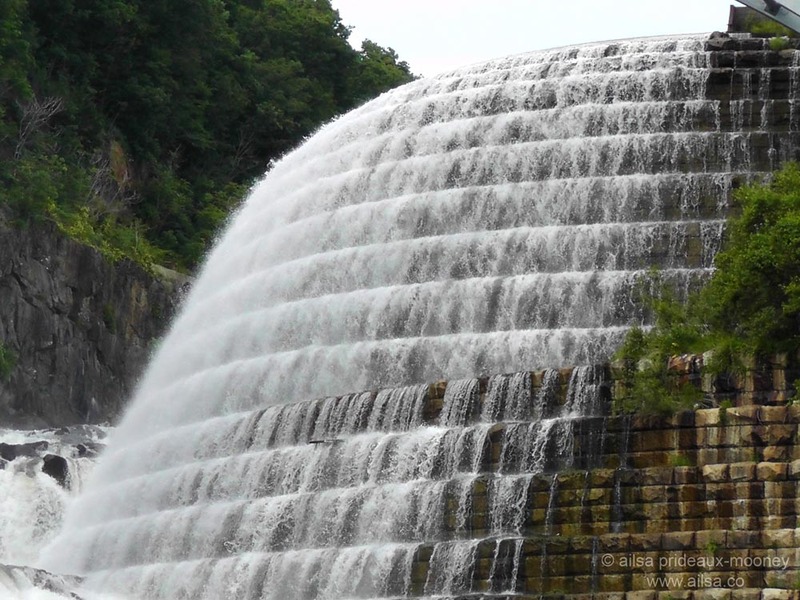 But the most spectacular thing about this dam is its dual spillway; part natural waterfall and part stepped, terraced stone, which delights both eyes and ears. There is a 200 foot long steel arch bridge spanning the spillway and a road along the crest of the dam. I did not have the opportunity to explore either of them, which means a return visit is on the cards in the very near future. Croton-on-Hudson is an easy and relatively short commute from New York City on the Metro-North Hudson Line – the station name is Croton Harmon. Trains run regularly (every 30 minutes or so) from Grand Central Terminal and the journey takes between 45 minutes (express train) to 70 minutes (local train). If you are ever in this part of the world, put this on your list of places to visit. I promise you won’t regret it. This entry was posted in New York, Photography, Travel, Uncategorized, United States and tagged architecture, history, photography, photos, pictures, postaday, travel, writing. Bookmark the permalink. Wow! This is amazing, Ailsa. I will definitely have to check it out should I ever end up in New York. Love that there is public transportation access. Gorgeous pictures, too. WOW WOW WOW! This is awesome. Love your photos. I am leaving for NYC tomorrow morning. I will try to get to this dam if time permits. Thanks for sharing. That is a fantastic structure. I will add it to my list of things to do in New York. Thanks for finding it! Awesome this man made construction. Yes, it really is a magnificent feat of engineering. I like the full view photo. It looks like a beautiful place. It is vast and massive! It’s on my list now. Thank you for the beautiful post! You’d love it, Vlad. It’s only one part of the Croton system, but it’s pretty spectacular. Isn’t that reservoir unreal??? I remember when I first saw it when I was a kid, my parents and I went up there for the day, and I couldn’t believe it. I thought it was one of the coolest things I had ever seen. Still do, in fact! And thanks for such great photos of it! A hundred years ago we built things that were as beautiful as they were useful. 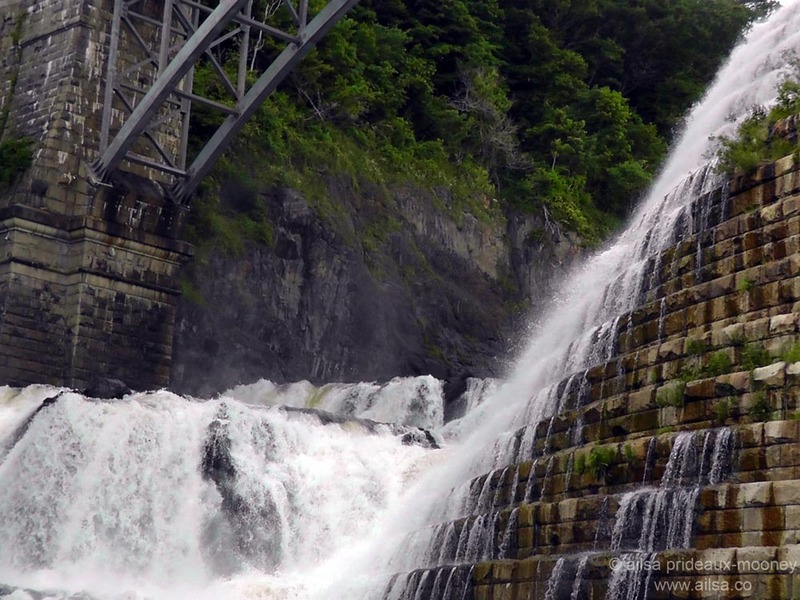 Thanks for sharing these stunning images — the New Croton Dam is now on my must-see list. Great series of photos! One of my favorite pros, Rick Sammon lives in that area. Mentions the dam on his podcast regularly. Oh I love his work, I had no idea he lived in the area. Gorgeous! I have friends in Croton that I have been meaning to visit. Here’s another reason. Thanks! Pingback: Travel theme: Curves | Where's my backpack?